To expand our sustainability exchange platform, the Taiwan Institute for Sustainable Energy (TAISE) signed a Sustainable Development Memorandum of Understanding (MOU) on Friday, March 15,with the National Central University at their College of Business Building 2 Meeting Room 117, with TAISE Chairman Ambassador Eugene Chien and NCU President Ching-Yang Chou signing the MOU in the hopes of both sides contributing their experience and influence in sustainable practices, to synergize the university’s academic research with corporate forces for inter-sectoral cooperation to promote sustainability efforts and share information. NCU President Ching-Yang Chou noted that they are working with all educational institutions, communities, public and private sector stakeholders, and NGOs to establish long-term strategic partnerships, and serving in the role of a sustainability education exchange platform. By starting with ourselves, we are establishing on campus energy efficient technologies and buildings, to enhance energy efficiency by 35% against traditional construction. NCU also enjoys robust sustainability results, and we are certain that our collaboration with TAISE will generate win-win synergy for both institutions. 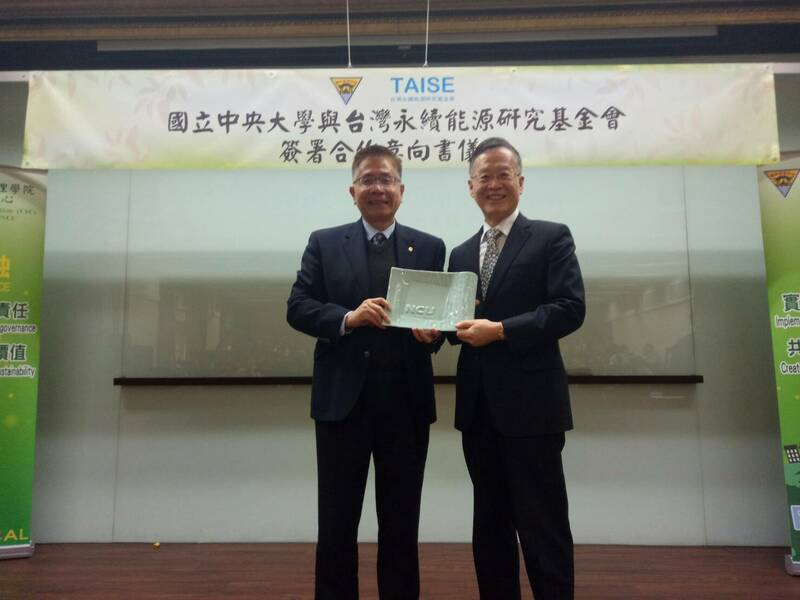 TAISE Chairman Eugene Chien expressed great appreciation for the tremendous pragmatic results of NCU in energy efficiency and environmental education. He also noted that in the path of promoting sustainable development, it is essential to find true partners for cooperation. Thus, the TAISE and NCU collaboration will help integrate sustainable development into education and praxis. TAISE also holds University Sustainable Development Workshops, creating exchange platforms for industry, government, academia, research and NGO sectors, and deploying corporate CSR volunteer judge training and academic paper competitions in the hope of synchronizing pan-sectoral harmony for sustainable development. 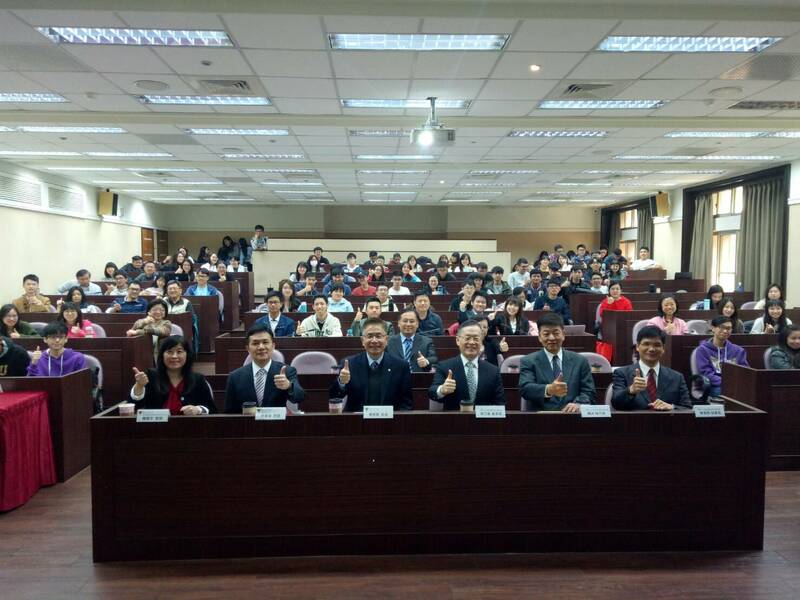 Moreover, in terms of university development, Chairman Chien expressed how there must be homeostasis among the three dimensions of university governance, environmental sustainability and the social interest, if we are to achieve university sustainability.